If the shape of the Hebrew letters have mystical significance, as the kabbalists tell us, then why do the ancient Hebrew letters look nothing like the Hebrew letters of the Torah? The sages themselves address the distinction between the scripts in Talmud Sanhedrin (21b). The script of the Torah and of all Hebrew writing since the Talmudic period, is known as K’tav Ashuri (possibly meaning Assyrian Script). The script found on ancient coins and in tombs resembles the ancient Phoenician writing, and is referred to as K’tav Ivri (Hebrew Script). While the sages of the Talmud debated in which font the Torah was originally written, the general consensus is K’tav Ashuri, as certain attributes of K’tav Ivri do not align with the mystical teachings about the letters. K’tav Ivri is viewed as a lesser script that came into use when the people descended into immorality and idolatry. K’tav Ashuri, however, was brought back into use at an unspecified time in later history (possibly in the era of Ezra). No matter which script (K’tav Ivri or K’tav Ashuri) one is referring to, all of the names of the letters, their sequence, and their numerical values remain the same. 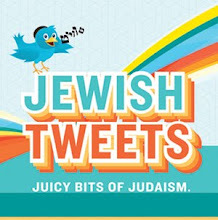 For a more in depth look at this topic, please visit the Jewish Virtual Library.